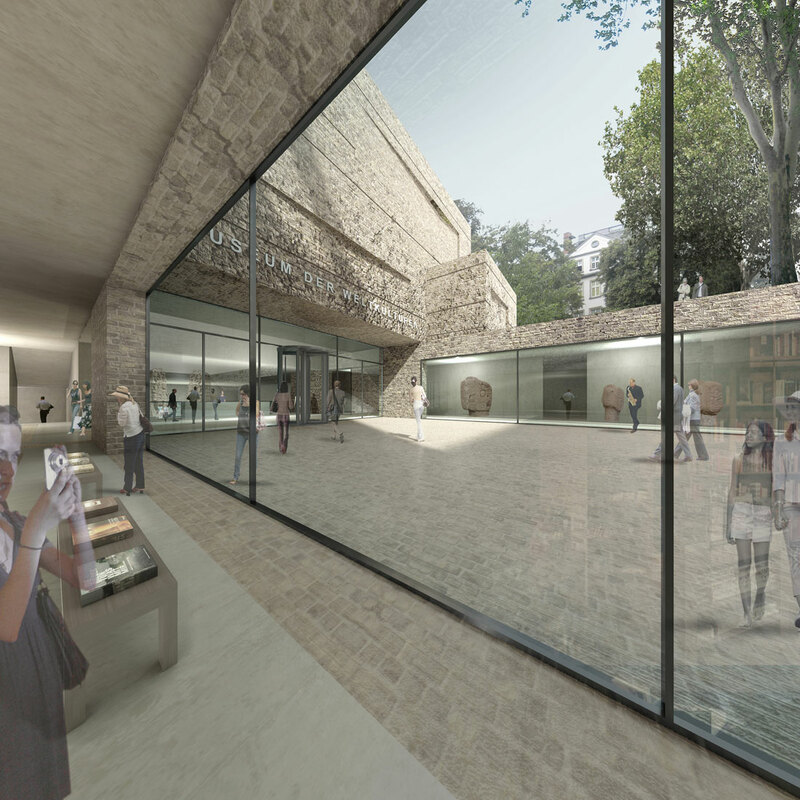 The new Museum of World Cultures should fit into the existing context. 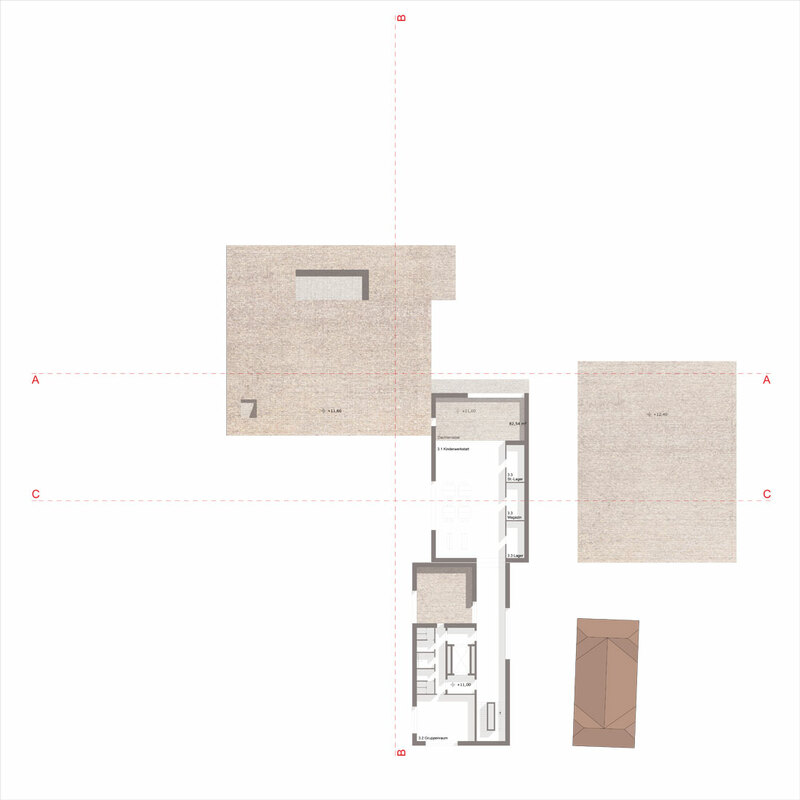 The main task is to grasp the large program in relation to the site within a volume that corresponds to the existing built fabric. On the one hand, this results in the decision to break up the building into an ensemble of individual volumes and, on the other hand, to arrange areas where no natural lighting is required underground. 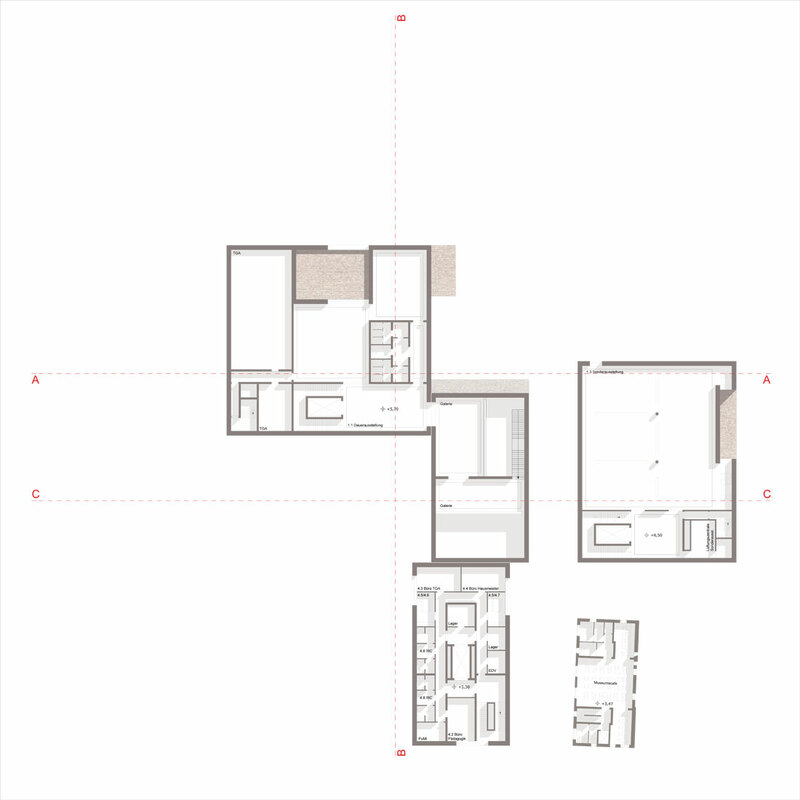 The individual volumes are thus grouped around a common center – the lowered entrance courtyard – but at the same time form a horizontal development into four spatially segregated quadrants, which are each the background for the surrounding existing buildings. 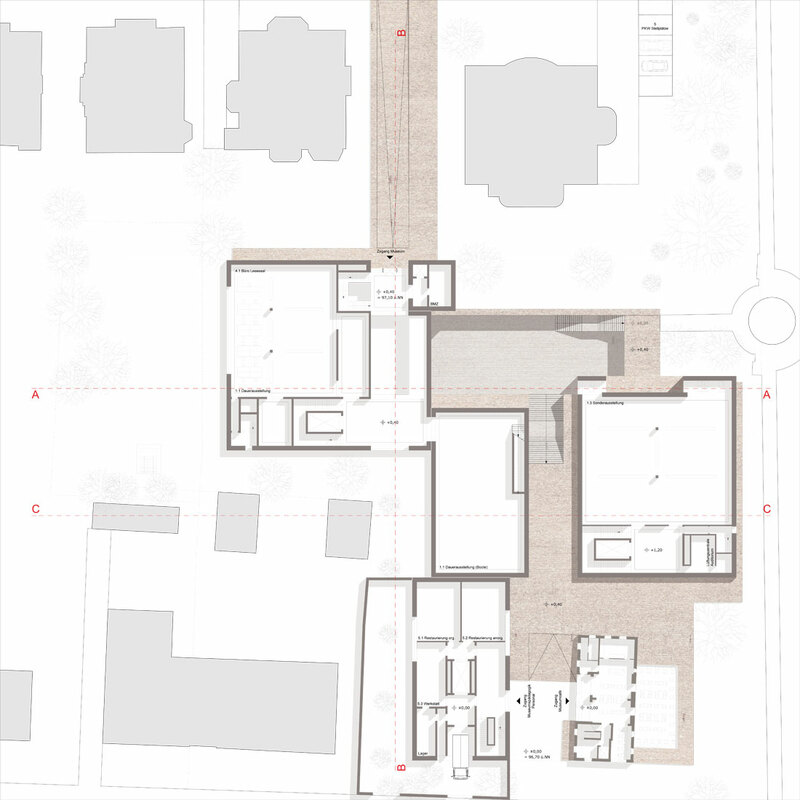 In order to present the diversity of cultural characteristics, their similarities and differences, the architectural framework for the Museum der Weltkulturen should be formally restrained. 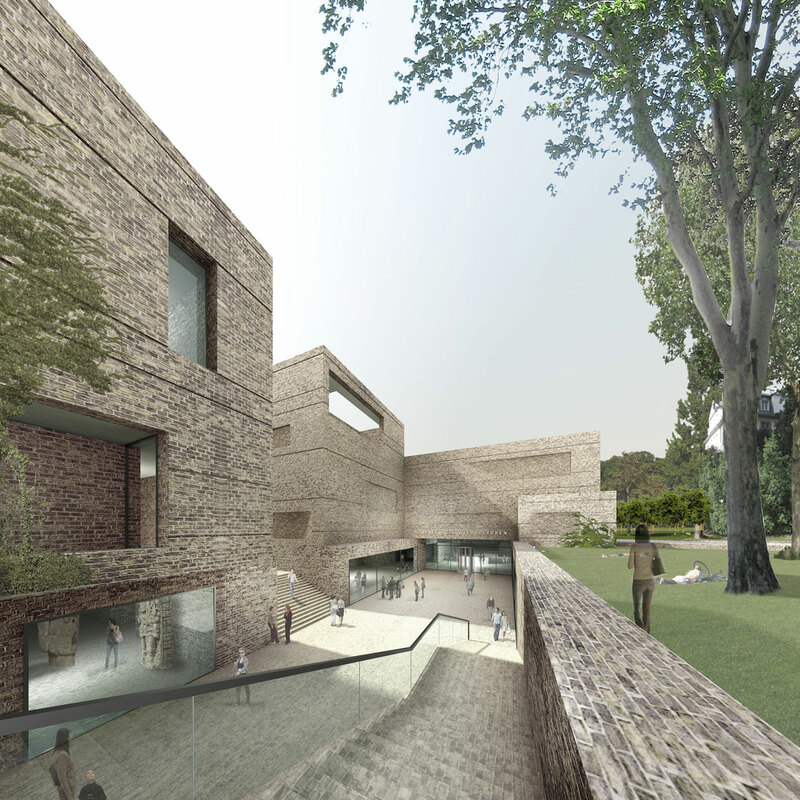 Similar to the settlement of a place created by nature, the activation of the museum is understood as a process that is transient and subject to permanent change. The frame, or the volume and the shell of the building, are also subject to change, but at a much slower rate compared to the internal processes. This image manifests itself most clearly in the plastic formulation of the façade, which seems to have found its shape through a long process of erosion.